XTERRA is an internationally recognized brand associated with the outdoors, adventure, fitness and fun. Its style of races include Off-Road Triathlon, Trial Runs, Mountain Bike for both adults and kids alike. 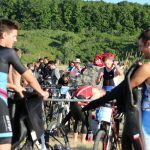 If you would like the ability to produce an XTERRA event of your own in Ontario and hook into a growing supported series please contact us. Hook into an internationally recognized brand, gain instant support and become part of the off-road movement!